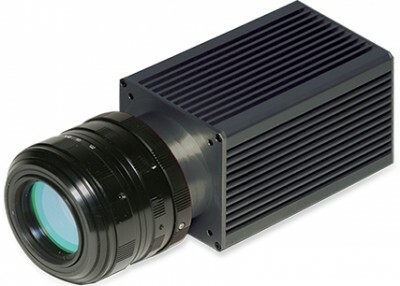 The large format 640 x 512 pixel 640SDX- 1.7RT InGaAs room temperature solid-state camera allows users to capture images in the Short Wave Infrared (SWIR) range of 0.9 to 1.7 ,m.
The 640SDX- 1.7RT camera's high resolution and high sensitivity provide real-time night-glow-to-daylight imaging for passive surveillance and use with lasers. This camera delivers clear video at every lighting level due to on-board Automatic Gain Control (AGC), image enhancement, and built-in nonuniformity corrections (NUCs). Violations of the ITAR are extremely serious and can result in fines, debarment, and criminal sanctions. Please direct any questions or concerns regarding the export status of your Sensors Unlimited product to our Sales/Export Compliance Traffic Manager, at 609.333.8200 or email us at sui_info@utas.utc.com. Please visit our regulations page for more information around ITAR and EAR regulations and the export of Sensors Unlimited products.